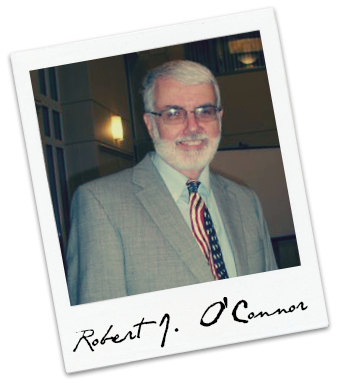 Bob O’Connor’s first book was published in 2006. He now has ten books published including 6 historical novels and 4 non-fiction books. 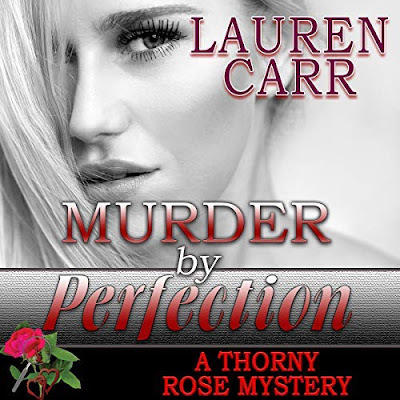 He has been named finalist four different times in national book competitions conducted by Indie Excellence Awards and USA Books. O’Connor writes about the Civil War in a way in which persons of interest find compelling as he writes about the soldiers on the front lines instead of the generals and the battle strategy. He speaks around the country on the Civil War and has appeared over 600 times in 18 states since his first book was published. His presentations have spanned the spectrum, as he has spoken to first graders and cadets at the U.S. Naval Academy, in national parks and public libraries, at historical societies and Civil War round tables. His main topics include abolitionist John Brown, Abraham Lincoln’s bodyguard (Ward Hill Lamon), the United States Colored Troops, the invention of modern prosthetics, and brothers fighting against brothers. 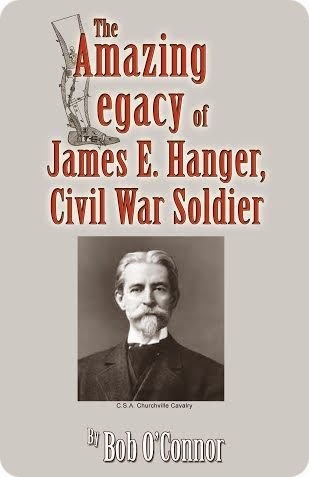 His latest book is the historical fiction, The Amazing Legacy of James E. Hanger, Civil War Soldier. 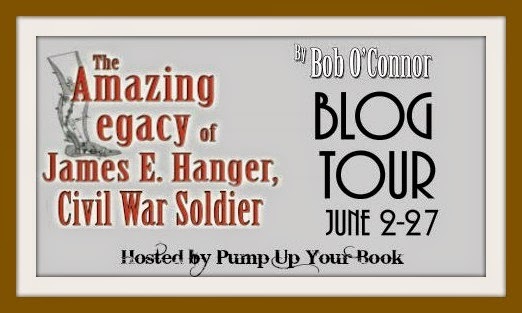 You can find out more about the author at his website www.boboconnorbooks.com or connect with him on Facebook. His invention revolutionized the prosthetic industry. The company Mr. Hanger founded still operates today (Hanger Inc.) as the country’s largest provider of artificial limbs. His story is quite remarkable. We arrived in Philippi in the early morning. I asked directions and then drove the buggy directly to the Garrett Johnson farm. I knocked on the door and asked for Mr. Johnson. An elderly gentleman came to the door. He said he was Mr. Johnson. I introduced myself and my wife, telling him who I was and why I was here. He invited us to come in and sit down. “You are a legend in this town, Mr. Hanger,” Mr. Johnson said. “The first amputee of the War Between the States. I had heard the accident and the amputation of your injured leg had taken place in my barn. You look like you are doing well.” He was looking me over, likely trying to see if he could figure out which of my legs had been lost in his barn. I don’t think he could figure it out. I rolled up my pants leg and showed him my Hanger limb. I continued. “I think some good has come out of that crazy war. I would like to show Nora the barn.” I rolled my pants back down. He walked to the door of his house and held it for us. He led us to the barn. The closer I got to the building, the harder my heart began to race. When we walked into the barn, it looked just like I had remembered all these years. There was nothing unique about it. I certainly remembered being in this barn before. I didn’t have to say anything to Nora. She knew the story. The barn was where the wayward cannon ball had mangled my leg. This was where the men had lifted me onto what I was told was a door. And this is where Dr. Robison’s surgery had saved my life. I had to lean on the wall to hold myself up. I started to quietly cry. I was embarrassed, but could not stop. I tried to remember the excruciating pain I must have felt or the horrible sound of the doctor’s bone saw cutting through my leg. I could not remember either. But I did remember Dr. Robison’s description of the operation and the pain that I endured for weeks and weeks afterwards. It seemed so real, like it was happening all over again. I crumbled onto the floor. Nora stood by quietly. I cried loudly, unable to stop. My thoughts of what happened here enveloped me. I was unable to move. Dr. Robison’s face appeared clearly in my mind. He had been so calm in telling me several days later what had happened. He acted like it was routine – no big thing. Yet he must have been afraid too. That was his first amputation. I had not felt even one thread of doubt that he had done the best he could. His determination and confidence helped calm my fears. Dr. Robison was a Union doctor who had operated on a Confederate soldier. I still have problems imagining that just any Union doctor would have tried to save me. After all, I was the enemy. Yet Dr. Robison had conducted the operation, as he said, the same as if I had been his own son. And his successful surgery had pretty much been an integral part of every other step that I had taken in the last twenty years. I owed him everything. I was so overcome with emotion that I was unsure if I could go on. I had to take deep breaths to bring myself back into the present. Nora stood beside me as she had for so many years. She had heard my story. We both had wondered what would happen when I returned. Now we knew. It had been exhausting for me. I finally struggled to get up. Nora knew I had to do this on my own, but held out her hand. She wanted me to know it was there, even if I wasn’t going to take it. This time I did take it. I let her help me up. She held me tight for several minutes to let me know that everything was all right. We finally moved on. I was still shaken, but knew I had to leave. My wife wondered out loud if going into the barn had jarred my memory. She asked me if I remembered getting hit by the cannonball or going through the operation. We walked back to the buggy. I thanked Mr. Johnson. And we left. I turned the buggy and travelled across the long covered bridge. I asked a lady on the street to point out the United Methodist Episcopal Church on Church Street in the downtown.